When you're down on the farm you'll appreciate how much the hot water is costing you in the dairy shed. Dairy farms in New Zealand use massive amounts of hot water and the energy associated with heating it. So it makes sense to reduce this expenditure on energy by utilising a solar hot water heating system for your milking shed. Talk to us now about installing a system developed for New Zealand conditions. We can show you systems that are in place now, saving money every day and increasing farmers' returns on their dairying investment. We have options for different size dairying operations. This one is used on a dairy farm producing 1250lt. 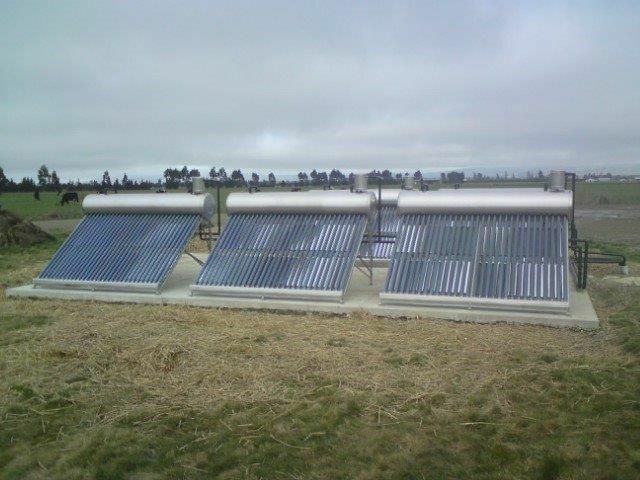 This Golden Bay dairy farm is enjoying the benefits of its solar setup on the farm. So why not become more sustainable and put in a solar hot water heating system that will keep on giving you hot water for years to come, all from the sun? 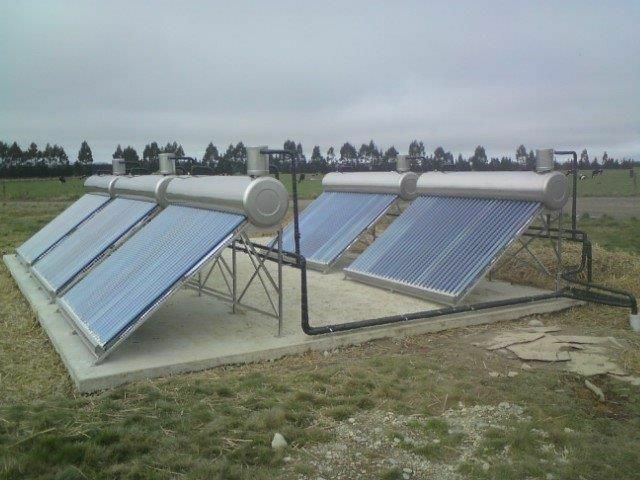 So contact us now for your dairying and farm solar hot water and power solutions.